Click here to contact us for a free personal demo. Simply provide contact details and one of our team will be in touch to arrange your one-to-one demo. We believe there is no other product on the market that offers the combination of power, flexibility, customization, and ease-of-use of RedHorse. 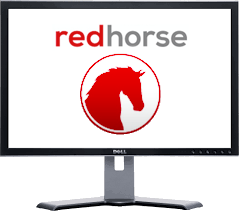 That’s why we strongly recommend the best way for you to experience RedHorse is in a live demo with one of our expert resellers, who can tailor your demo around what your business needs. Don’t want to spend time installing on your own computer? Try the product live now! Please enter your contact information below. Then click Submit to be taken directly to the live demo. Download a demo version of the software to install and use on your computer to test how RedHorse CRM will work for your business. Note: This is usually recommended for people who have already had a personal demo from one of our resellers. Because RedHorse products are extremely powerful and flexible, you will best realize their potential benefits for your business through consultation with an expert. Sign up for our weekly interactive demo webinars.